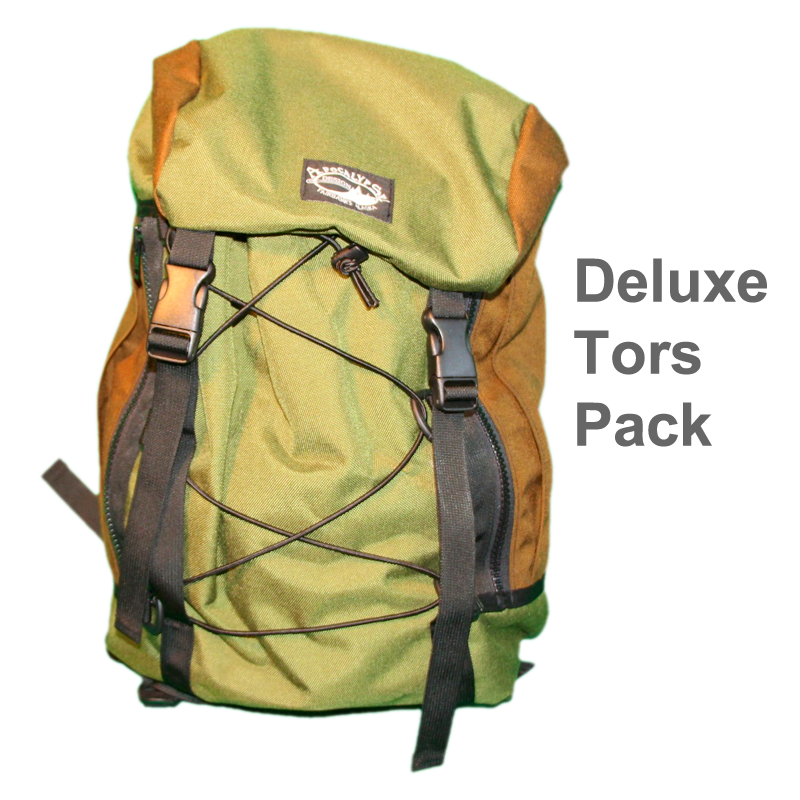 Made like the Tors pack it has a large main pouch style pocket with a toggle cinch top to adjust the size of the pocket, inside it has a flat pocket along the padded back of the main pocket. 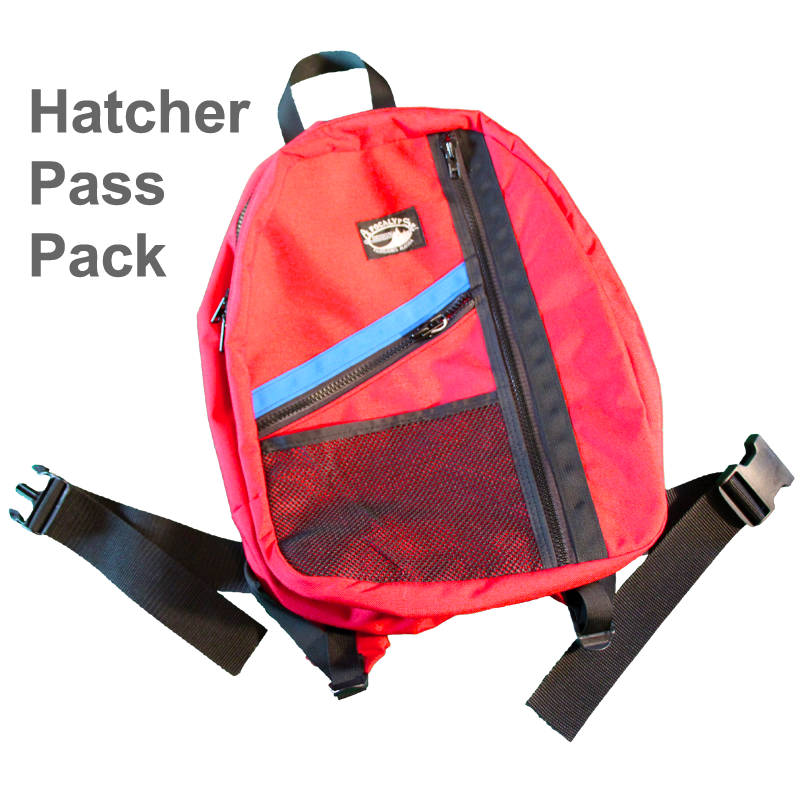 Over the top closure a zippered pouch pocket with buckles that fasten it down to the main bag and it comes with adjustable padded shoulder pads. 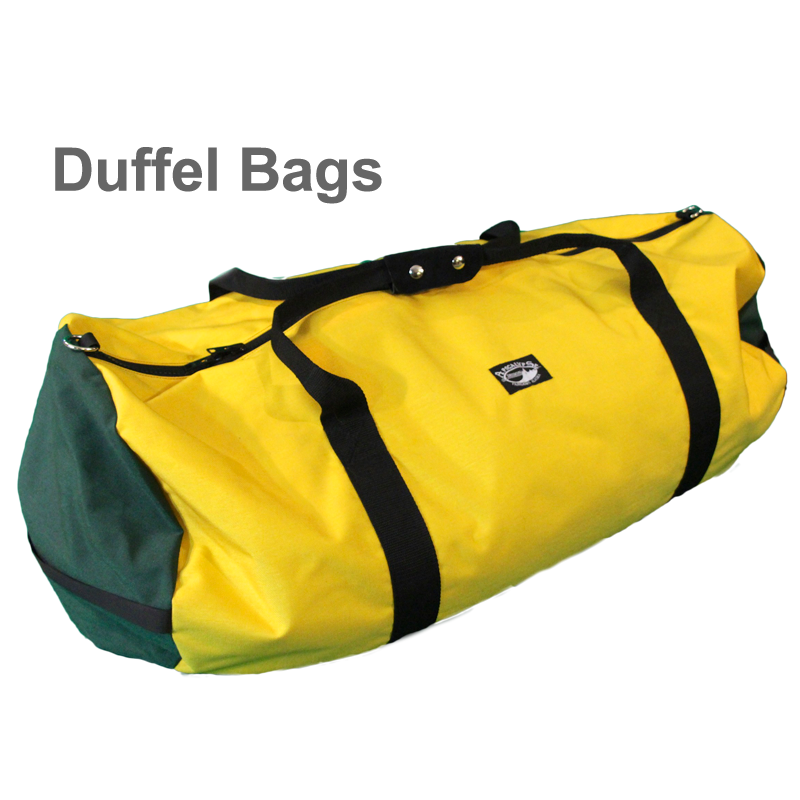 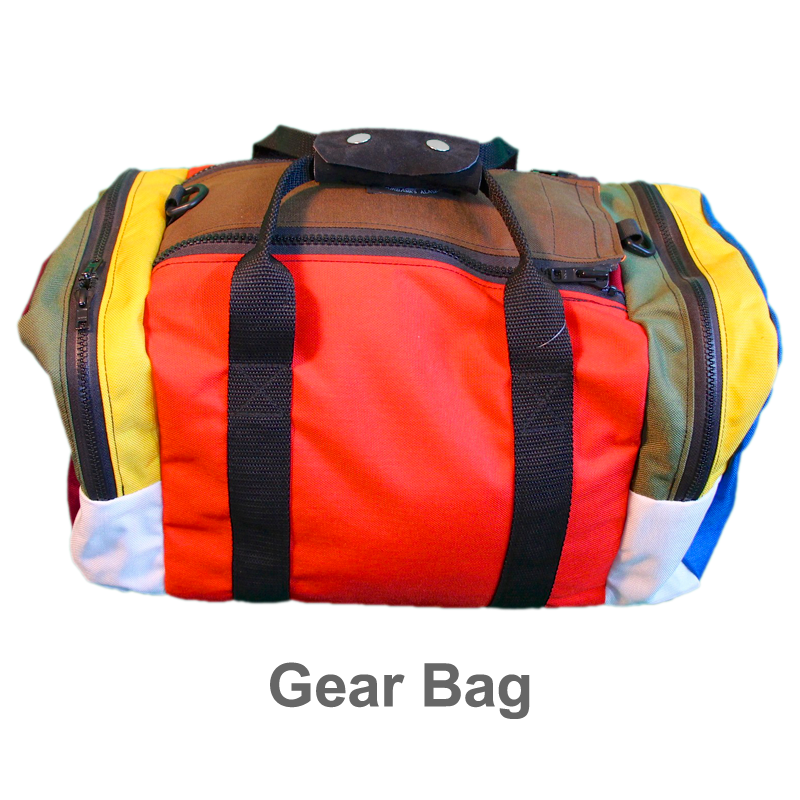 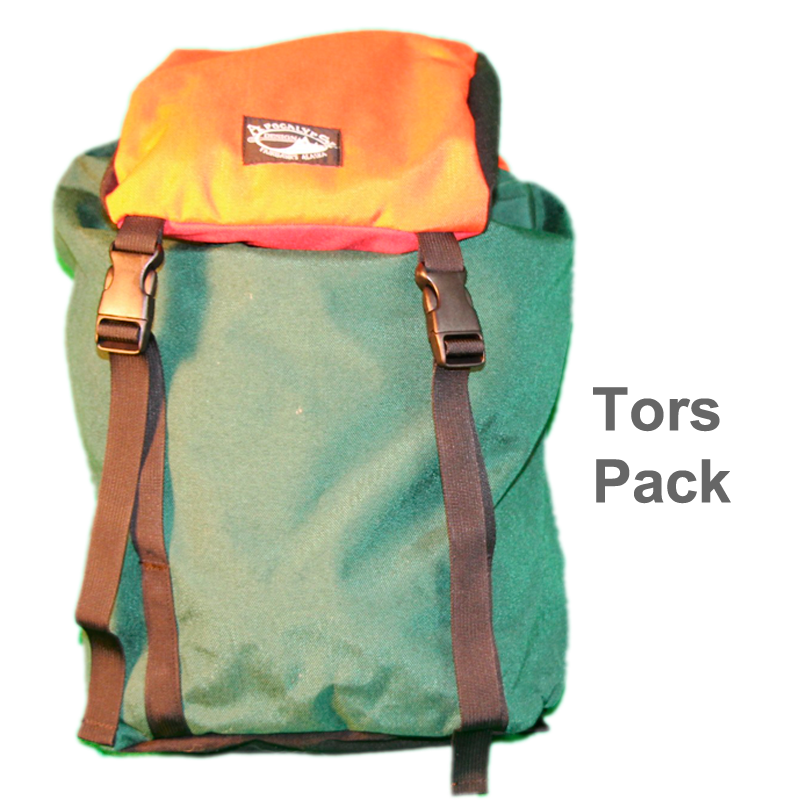 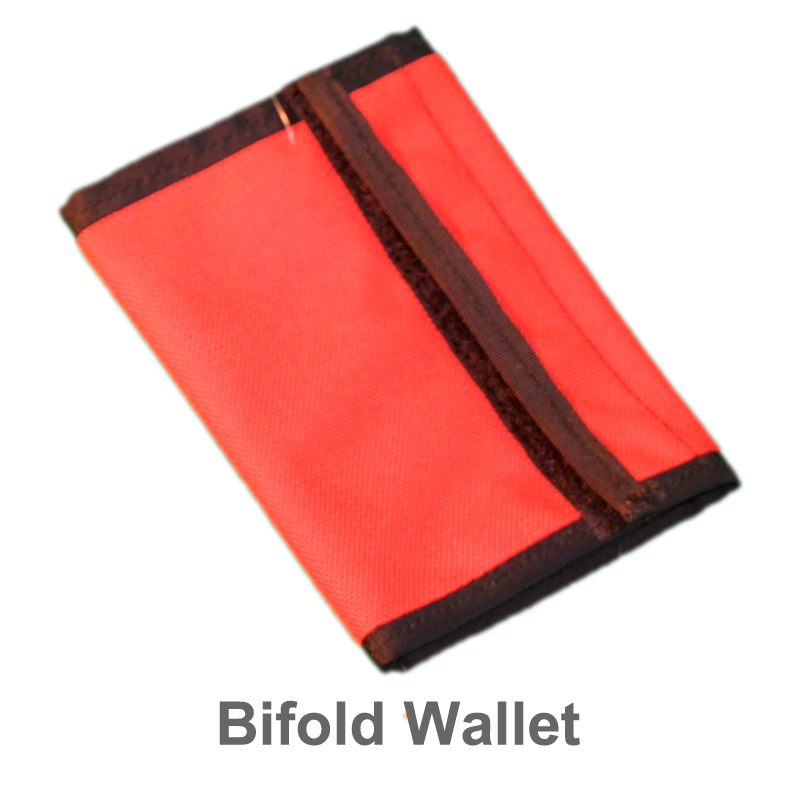 The deluxe version has 2 zippered pleated pockets on the front and extra cinch cord on the front of the bag. 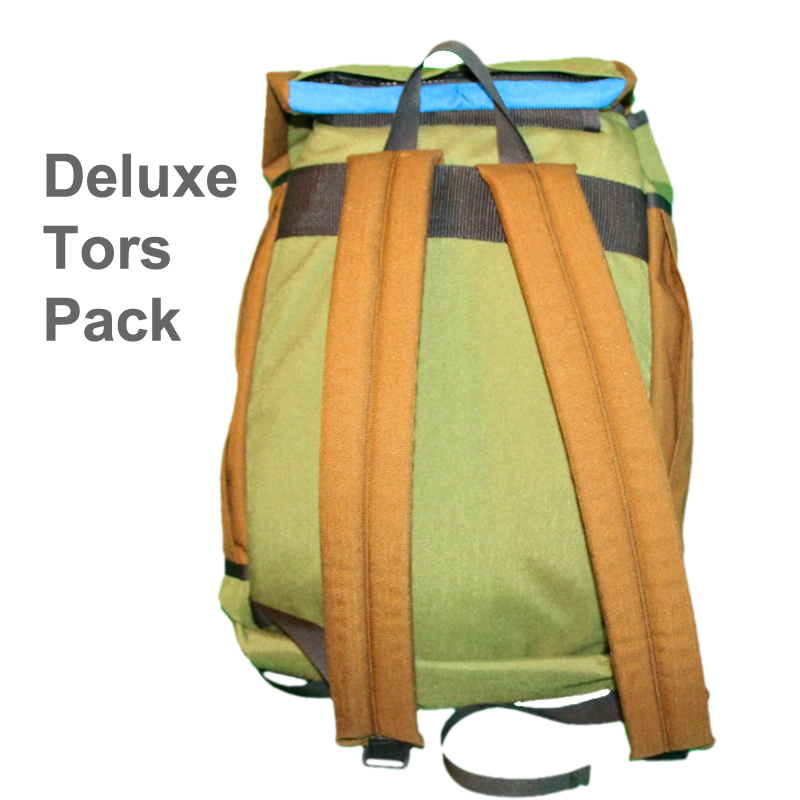 The bag is made with 1000d Cordura, closed cell foam in the straps and back, and heavy duty webbing and buckles.